You’ve got the indoor holiday decor down—the decked-out tree, strings of tiny white lights, festive cocktail tumblers—you know, the works. But the cheer is hardly complete until there’s a wreath on the front door. It’s like putting the star on top of the tree (if the tree were the entire house). Usually topped with a big red bow, the lush door topper is a total classic. But if you’re looking for something a bit more rustic-chic (and Instagram-worthy), Maire Byrne has a gorgeous design to try. Aside from serving as founder and chef of Santa Monica’s Thyme Cafe & Market and Local Kitchen & Wine Bar, she’s also hostess extraordinaire, giving her an excuse to experiment with creative home decor. Her biggest piece of advice when it comes to decorating for the holidays? “Don’t be afraid to do something different,” Byrne encourages. Traditions have their place, but you should never feel bored of the same old, same old. Which means you need to head to the kitchen. (Hear me out.) This year, collaborating with her longtime friend, designer Hallman Ray, Byrne put together a wreath that uses olive branches, sprigs of thyme and rosemary, and artichokes, creating a beautiful, rustic wreath that’ll make the neighbors jealous. She shares the directions below, so that you can re-create it and wow all the guests at your annual holiday cocktail party. Keep reading for step-by-step instructions to create Byrne’s culinary-inspired wreath. 1. Stretch out the grapevine garland, using some pressure if necessary to flatten. Once flat, guide a few pieces into a circular shape. Lay a heavy object on the sides and use the florist’s wire to connect the ends together to create a circular (wreath) shape. 2. Use wire to attach cedar, juniper, eucalyptus, and olive branches to the bottom half of the wreath, creating a base of greenery. Attach some pieces more loosely than others, allowing some of the greenery to flow. 3. Once you’ve created your base, attach bunches of thyme and rosemary, spreading out along the bottom half of the wreath. 4. 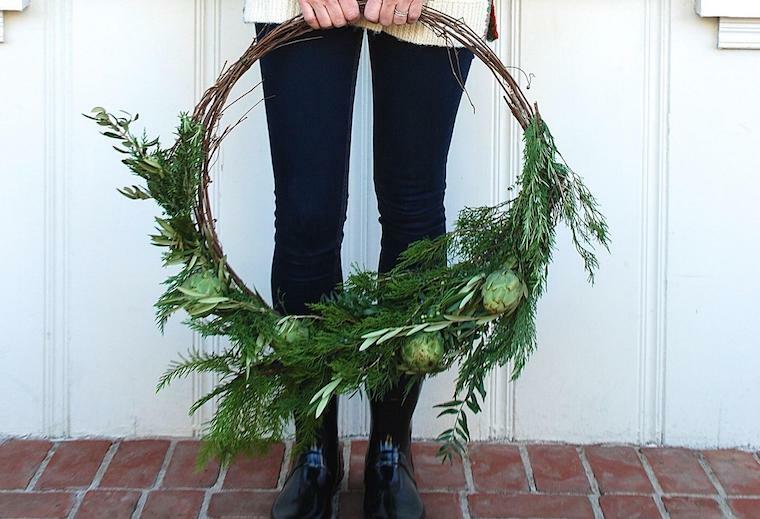 Finish by wiring several small artichokes to the wreath by their stems. Looking to have a super-healthy holiday season? 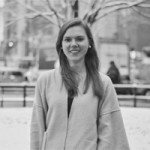 These nutritionist tips for eating well at holiday parties will help keep you feeling your best. And if you’re sick of sore feet at the end of a long night, swap your high heels for a pair of these party-ready sneakers.